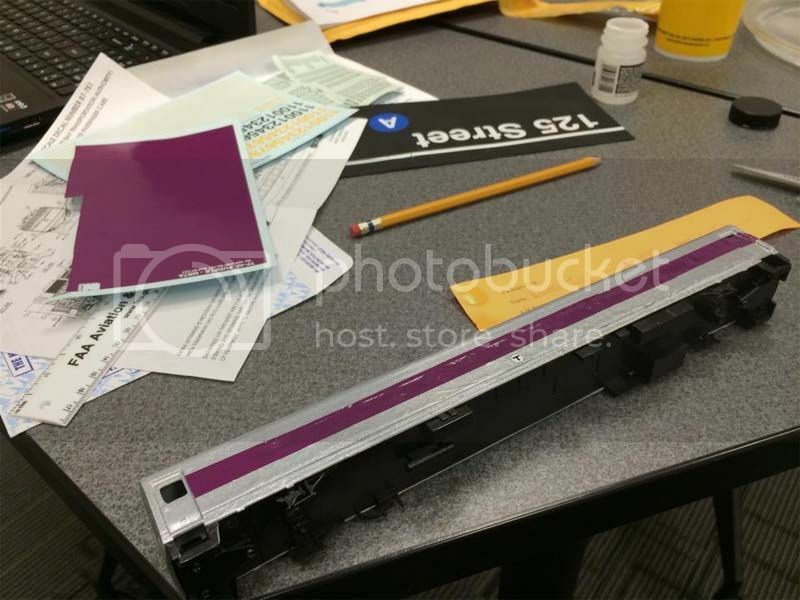 I've been looking at online photos of GP40MCs. I have read that two of the units (1116 & 1119, I think) recieved "switcher mods". The only specific mod described is rear ditch lights. It appears from the photos that they may also have replaced the original GMDD-style four near vertical steps from the ground to the front and rear porches with more "US-style" steps. Can anyone confirm this? Are there any other mods visible externally that I am missing? 010 is on the way and will enter service a week from today! Klein did not get 011 in stock with sound and DCC. They are looking into if they can get 011. If they can, I will have them both! ST214 wrote: 010 is on the way and will enter service a week from today! I believe the only other mods for the 1116 & 1119 were ditch lights added to the rear. I will have to look more closely at the handrails and cut levers. 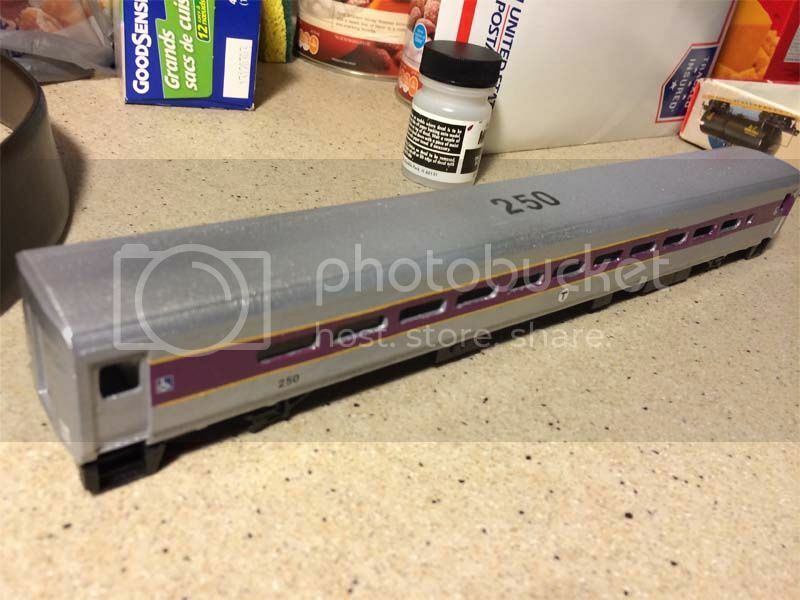 If you want to run trains, or just want display models, Rapido Trains is coming out with accurate 8600-series coaches (Pullman-Standard stainless steel). From Rapido and their distributors, they'll be available in two styles: Delivery scheme with skirts, and McGinnis scheme without skirts. Also available, without skirts, will be Penn Central, MBTA and Unlettered. However, also available will be the McGinnis scheme with skirts. These are available only through the NHRHTA. All three, through the NHRHTA, will be twenty dollars less than MSRP. more important is the FL-9's in just about any configuration in both HO and N.
These guys -for all their love for VIA Rail- seem to have caught the New Haven bug in a big way. I would like to make a model of a Morrison-Knudsen RDC conversion, but am finding it difficult to get much information on what the conversion actually entailed. Did the rebuilds use the original trucks, with the transmission removed or new trucks? If new, what trucks were they? What was the interior layout like? There seem to be a good few books on RDCs in general, are there any that cover the rebuilds? same trucks, just spicer drive removed , roof dome removed , stacks removed and stack duct sheeted over, new circuit breaker box under car, all engines and transmissions and under body equipment removed, except for brake valve block. The best RDC book is the one written by Chuck Crouse, but it has little info on the MBTA rebuilds. Just to add to Dutch's info, the trucks were resprung to compensate for the reduced car weight, but were said to ride rough and were not popular with commuters. The prototype "Boise" Budds are still around,after use by Caltrain(JPBX),they wound up at GCRY in Williams Az. Sometimes used as the 2nd train to the Grand Canyon in the summer months,pulled by a former Amtrak F-40ph!